If you want to grow edibles in your garden, herbs are a wonderful way to start! They’re easy and relatively tough and will bring you loads of enjoyment. They grow quickly, enhance your meals with healthy delicious flavours, and save you money. Growing herbs in pots is very straight forward. They look great and the plants smell fantastic, and can be placed right by your house for easy access. Northcote Pottery has got you covered for stunning designs and impeccable quality. It’s easy to create classic romantic or striking modern looks, and everything in between with their vast selection. Match your pots to your house for a pleasing effect that will flow. Make sure you take care to purchase good quality herbs during the correct season. Some are annuals and others are perennials, and some can be very invasive (such as mint) and should be planted alone – another reason why pots are a great idea! 1. Water your plants half an hour prior to planting. When removing them from their pots, take care of the roots. 2. Use a good quality potting mix such as Debco Premium Vegetable & Herb Mix. 3. Make a hole on the potting mix. Allow enough room to ensure that you don’t squash the roots. Place the seedling in the hole and firm the mix around the plant. 4. Water thoroughly, and continue to water whilst the plants grow. Harvest herbs as required. 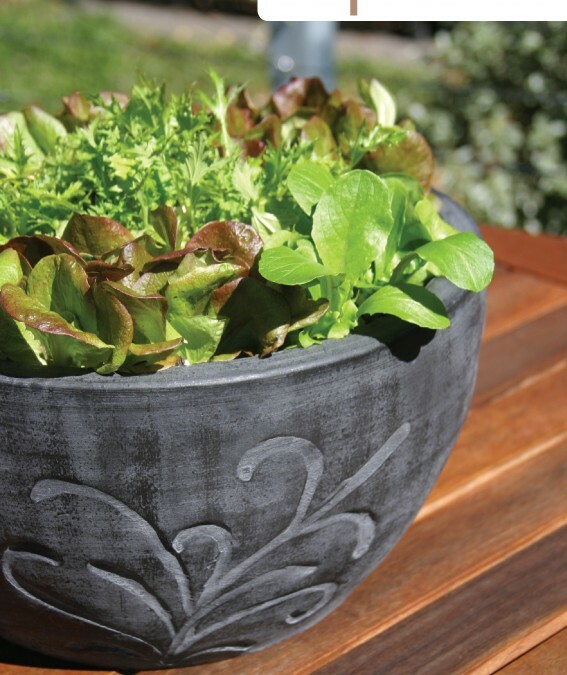 Visit Northcote Pottery’s website for a large variety of pots for your garden, and begin your herb garden today!